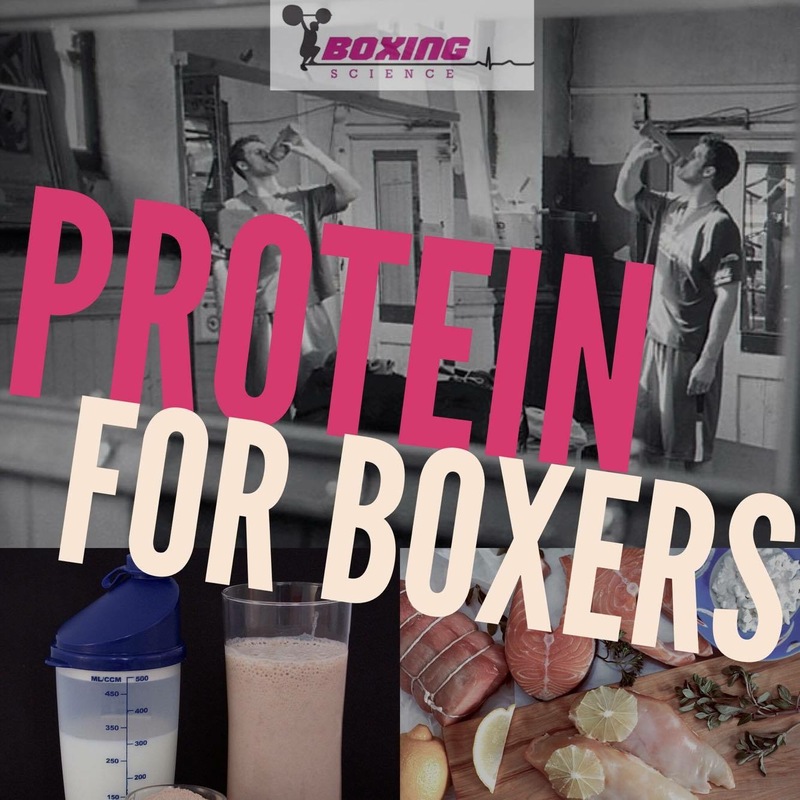 In the third and final part of the Protein for Boxers, Lee Rickards will be sharing information on how much protein a boxer should plan to have in his diet. Protein has a dose response relationship of 20-30 g of protein. Any amount less will not fully synthesise protein and any amount higher is likely not to improve muscle protein synthesis beyond this amount. Therefore consuming 20-30 g of protein roughly every 3-4 hours will enhance recovery from training. Have a natural protein recovery shake such as 500ml of milk or a bottle of Arla 25g chocolate milk after training sessions is a good habit to have which will improve recovery. High protein breakfast and a high protein meal 1-2 hours before bed will keep drip feeding protein into the human body decreasing the chance of breakdown. 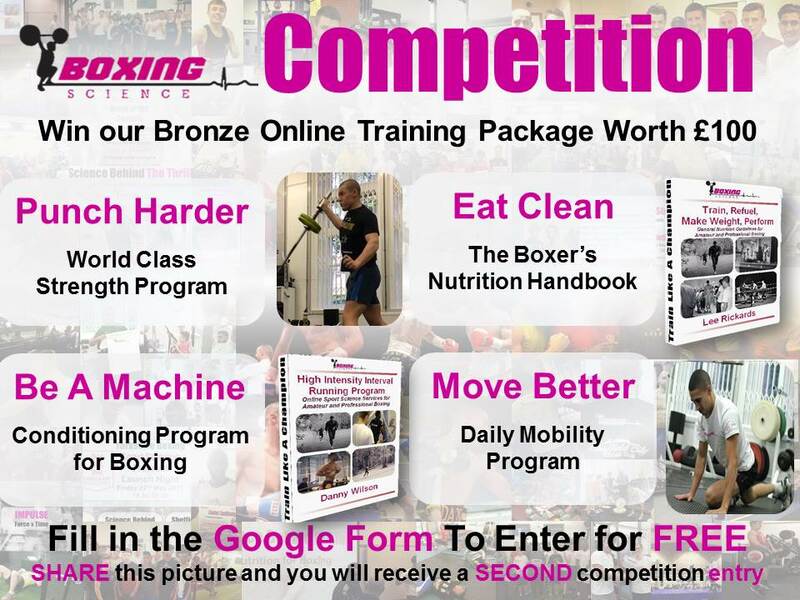 Then you should enter our competition that includes our e-book – Train, Refuel, Make Weight, Perform. Everything you need to know for macro-nutrients: Why? What? When? and How Much? General diet plans for boxers at 3 different weight categories. Here is your chance to experience our world-class training methods and mind blowing results available to you, for FREE, by entering this competition below. Competition entries are FREE, all you need to do is fill in our google form, answer a few questions and leave your contact details. It will take less than 60 seconds. Competition closing date has now been EXTENDED to Tuesday 31st May …. so act quick! Lee Rickards is a nutrition consultant and sport scientist currently working at Sheffield United Football Club and with professional combat sport athletes competing for regional, national and commonwealth titles. Lee is an UKSCA accredited strength and conditioning coach (ASCC) and an accredited body composition analyst by The International Society for the Advancement of Kinanthropometry (ISAK). Lee was awarded his Bachelor of Science in Sport Science for Performance Coaching in 2012 and will be completing Master of Science, Sport and Exercise Science at Sheffield Hallam University in 2015. Lee is currently undergoing his research project, which will investigate strength exercise selection on gluteus maximus activity in order to reduce injury incidence and increase hip extension to aid sports performance. Lee believes in evidence based nutrition practices to improve performance whilst debunking myths surrounding making weight. Lee will be sharing his nutrition knowledge through a series of articles relating to Boxing performance.